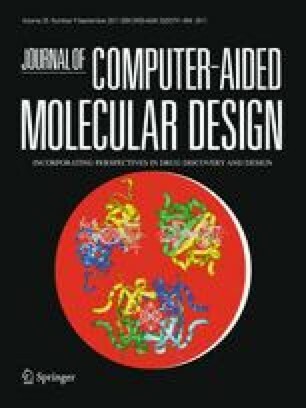 The authors thank Dr. Eva Mª Priego and Dr. Alberto Gómez for testing the application and valuable comments, as well as the rest of members of the Bioinformatics Unit at CBMSO and the Molecular Modeling group at UAH for encouragement and fruitful discussions. This work was supported by grants from Ministerio de Ciencia e Innovación (MICINN) BIO2008-04384 (to A. M.) and SAF2009-13914-C02-02 (to F. G.), and Comunidad Autónoma de Madrid (CAM) S-BIO-0214-2006. A. M. acknowledges CAM for financial support through the AMAROUTO program to the Fundación Severo Ochoa, R. G. -R. thanks MICINN for a contract from “Programa de Personal Técnico y de Apoyo 2008”, and A. C. thanks Ministerio de Educación for the FPU grant AP2009-0203. We are grateful to OpenEye Scientific Software, Inc. for providing us with an academic license for their software. The technical support and advice from the Bioinformatics Facility at CBMSO is gratefully acknowledged, as well as the computer resources, technical expertise and assistance provided by the Barcelona Supercomputing Center—Centro Nacional de Supercomputación.